Can Talking About Your Senior’s Final Wishes Benefit You? Thinking about the end of your senior’s life is never something you want to do. As a family caregiver, however, it is extremely important to not only accept this inevitability, but also to prepare for it. Ignoring this will only create more stress, difficult decisions, and challenging emotions when the time comes. Homecare China Grove NC – Can Talking About Your Senior’s Final Wishes Benefit You? Talking to your senior about their final wishes is a sensitive topic and can be difficult for both of you, but it is extremely beneficial. For your senior, talking about final wishes is a way for them to feel in control, know they are heard and understood, and feel prepared to face the rest of their life. But this conversation is not just beneficial for them. It can also be greatly helpful for you. Learning more about your aging parent, their thoughts, their priorities, and what they are thinking about their future and the end of their life. Feeling confident you are giving them the care that is truly right for them and showing them how valuable they are to you. Giving you the insight into your parents priorities that you need to feel absolutely confident making a potentially challenging decisions when the time comes. Giving yourself peace of mind that if an unexpected situation happens, you would not have to devote time and energy into trying to figure out what you should do. For example, recording your parent’s opinion on medical interventions, artificial life support, and resuscitation relieves you of the burden of having to try to decide if these are the right moves to make if your parent finds themselves in such a situation. Provides you with a source of information and support if others in your family try to argue with the decisions that you make for your parent at the end of their life. By being able to show them the decisions your parent put aside, you can ensure they understand that this is what your parent wanted, and that is why you are doing it. Creating a stronger and more beneficial bond between you that can help to promote better cooperation with care efforts, more openness, and stronger lines of communication. No matter how long you have been a family caregiver for your parent, what type of challenges they are facing, or your care routine, if you feel your senior would benefit from additional care, or that you need help, it is available. Bringing a homecare provider into your care routine for your senior can be extremely beneficial for both of you. This homecare is completely personalized, meaning it is designed for your parent, not just their needs. 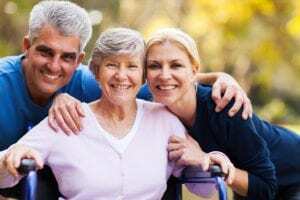 The homecare services provider will help your parent to manage their needs in the ways that are right for them now, but also be able to modify those services in case their needs change. This helps your parent to enjoy more independence, a healthy, and safe life, and also gives you comfort and peace of mind. If you or an aging loved one are considering Homecare Services in China Grove NC, please contact the caring staff at TenderHearted Home Care today. (704) 612-4132.